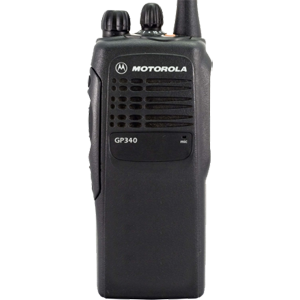 CPS release supporting Portable and Mobile versions of the Professional GP300/GM300 Series 5-tone radios. Supports scan lists from 32 to 64. Supports all existing radio versions in the field as well as the new radio versions. A ComTool is installed into the same directory as the CPS, to help customers having problems to access the radio via the Com port. The tool gives a detailed error message and gives many hints in the file ComTool.txt how to solve the problem. NOTE: If using the CPS mail menu, ensure that the last changed data is saved to file. Uninstall any old CPS version before you install the new one. Thanks to who ever uploaded this version of the software. Have been looking for 2 days until I found this site. Hi guys, I'm trying to read my Gp 340 and I can't because the codeplug version is 7. Please advise what should I do? This installs OK, then asks you to reboot. After reboot, I can see the programme in the start menu, but when you open it, it say's the short cut is invalid… I will try to run it on an older machine. Any advice gratefully received! I have since tried to install this on an old XP machine. Got a bit further, but all I can open is the com tool. Glad we could be of help Bill. Been searching for a while, thanks a lot buddy. Glad we could help. If you have anything not already here, I would appreciate an upload. I am having trouble using this software with my radio. I am using Windows 7 and the software doesn't recognise the the device / radio. Maybe this is a redundant question… but is it necessary to use a RIB to program this radio? You will require a programming cable which can either use a rib or be of the ribless type. I've used the ribless USB version successfully. I bought a Â£10 usb cable of ebay and I haven't had any look yet. does anyone or anywhere have the R03.11.16 version? Is there any trick to get the software to run in Windows 7? I have installed it ok but when I run the program nothing appears. I can see in taskmanager that it is running the process using about 4mb ram. What I am trying to do is reprogram a GP340 radio and this is the only software I have come across. I haven't tried running this program on Windows 7 but can confirm it works ok on XP. Only suggestion I can make is to ensure that it is installed as administrator not a standard user. Thanks for this software - can read my GP340 units perfectly. I'm having trouble adding additional frequencies to the units (see screengrab below). We have these units running on licenced PMSE channels some which creep above 470mhz and work fine although this version of software doesn't allow this and shows the error. Bringing the fields under 470mhz stops this but our licences included channels just above 470mhz. Anyone know if there is another software version or a setting that allows this? Many thanks for this soft. I an reprogramming GM360 for Ham Repeater for a Radio Club in France. "cannot create unknown radio component"
hello everyone, I have a ribless usb cable to program motorola gp340, what software version I will need to be able to read and program the radio. thank you. Hi guys, I'm trying to program my GP380's and my laptop is windows 8, can this be done ?. I see here people are using windows XP or windows 7.